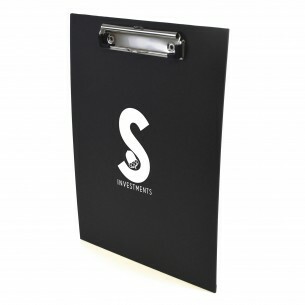 Brand this A4 clipboard with your company logo and keep them for events such as conferences where these are required. Adding your business logo will represent your company and give off better first impressions. Available in black, white, red and royal blue, these hardback paper clipboard have stainless steel clip to keep all of your documents safe. We can print a one spot colour logo only to the front.